HAPPY POETRY MONTH, FRIENDS AND COMRADES! For this, the 6th Annual iteration of our beloved Poetry Month 30/30/30 series/tradition, I asked four poets (and previous participants) to guest-curate a week of entries, highlighting folks from their communities and the poets who’ve influenced their work. I’m happy to introduce Janice Sapigao, Johnny Damm, Phillip Ammonds, and Stephen Ross, who have done an amazing job gathering people for this years series! We’re so excited to share this new crop of tributes with you. Hear more from our four guest editors in the introduction to this year’s series. Hungry for more? there’s 150 previous entries from past years here! You should also check out Janice’s piece on Nayyirah Waheed, Johnny’s piece on Raymond Roussel, Phillip’s piece on Essex Hemphill, and Stephen’s piece on Ronald Johnson’s Ark, while you’re at it. This is a peer-to-peer system of collective inspiration! No matriculation required. The community of poets and scholars convened here for the OS’s National Poetry Month has never existed, as far as I know, in the same geographical or electronic space. Yet I’m moved to see that the members of this new community (excluding the New Yorkers) all hail from the places I’ve lived that mean the most to me: Montreal, the UK Midlands, North Carolina, Georgia. I canvassed old friends and new acquaintances, as well as friends of friends, to contribute to this year’s Poetry Month, and am delighted to find how meaningfully the contributions resonate with each other. These mutually reinforcing energies are not simply a matter of aesthetic and/or political affinities between the poet-scholars and their poets, but emerge from each contributor’s recognition and appreciation of the particulars of their chosen poet. Contributions by Charles Gonsalves (on Barbara Guest), Sarah Huener (on Eileen Myles), and Aaron Goldsman (on Tommy Pico) span three generations of what some might still be pleased to call the New York School–which generation are we on now? Other contributors attend to the limits of poetics: Klara DuPlessis reflects eloquently on Anne Carson’s (de)creative refusal to finish a book, while Zohar Atkins ponders William Bronk’s endless rewriting of the same poem. Aaron Belz’s tribute to Robert Bly’s translations of César Vallejo speaks to the winding, unpredictable process of poetic influence. Stephen Ross is a literary scholar, translator, and editor. He earned his PhD in English from the University of Oxford in 2013 and is a founding editor of the literary web-journal, Wave Composition. With Ariel Resnikoff, he is working on the first-full length translation and critical edition of Mikhl Likht’s Yiddish modernist long-poem, Processions. He is a contributing editor for The Operating System’s Unsilenced Texts series, and also co-editor with Dr. Alys Moody of the forthcoming anthology, Global Modernists on Modernism (Bloomsbury, 2017), a 190,000-word sourcebook that draws on a large archive of historical materials — statements, manifestos, letters, prefaces, introductions, hybrid works, etc — by modernist practitioners across the arts, with a special focus on untranslated, poorly disseminated (in English), and ‘forgotten’ texts. His current book project is a study of modern American poetics and objecthood. but no: there isn’t an anchor anywhere. There isn’t an anchor in the drift of the world. Oh no. I thought you were. Oh no. The drift of the world. The German philosopher, Martin Heidegger, says that every great thinker thinks one thought only. Perhaps he would also say the same about poets: every great poet writes the same poem over and over again; not in a monotonous sense, but in the sense of being a variation on a theme. The theme, however, can only come into view through negation and contrast. A theme is not a pre-existing Platonic Form, but a constellation that takes form only within a dynamic interplay of particular poems. The structural necessity of failure, meanwhile, guarantees the proliferation of a poet’s attempts to write the unwritable poem. A body of work is thus a record of persistent, unfulfilled desire. Just as Heidegger says that the greatest contribution a thinker can make to the archive of thought is what is “unthought” in her work, that is, what remains only implicit, so, too, a poet’s great contribution to the poetic field may be not any particular poem or poetic form, but what she left unpoetized for others to disclose, cull, and realize. Heidegger’s argument holds many modernist prejudices, which are out of fashion today. 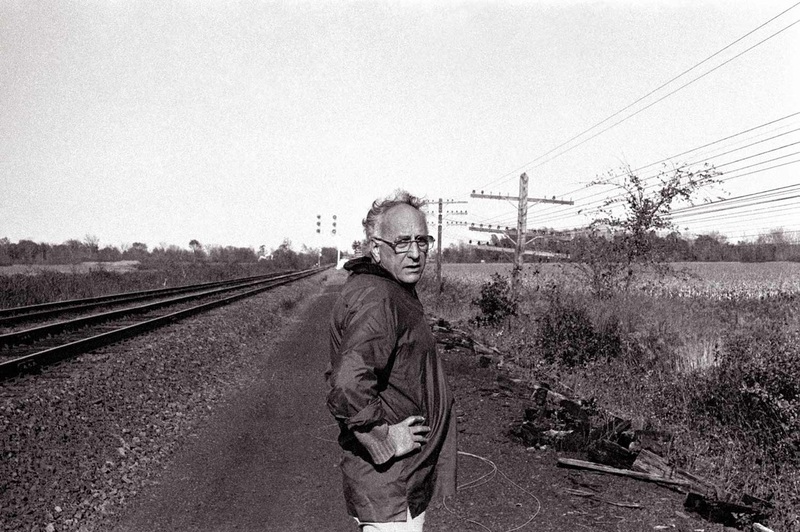 Postmodern poets and thinkers tend to dismiss what they perceive to be his ethos of “bombastic heroism,” “monomania,” and “the cult of the self,” even as they can’t help making use of his terminology and way of thinking. But regardless of whether we accept Heidegger’s argument, or simply treat it as a kind of thought experiment, or even as a kind of hermeneutic prompt, I often feel that William Bronk’s poem, “The World,” (published in his 1964 collection The World, The Wordless) shouldn’t exist. It is too perfect a poem and belongs in the world of silence and “white fire.” Each time I read it, I like to think that this is the poem Bronk had been trying to write his whole life, and behold, he succeeded. What should have remained an “unthought” in his work not only exists, but is the framing poem of his oeuvre. How is this possible? The existence of this poem feels to me like a small miracle, as if it were not Bronk, the subject, who wrote it, but “The World” itself, whatever that might mean. Of course, this is an imposed aesthetic judgment. Of course, the sheer fact that Bronk kept writing other poems means that this one couldn’t have been the messianic fulfillment of his poetic promise. Nevertheless, and with no disrespect to Bronk, it is the only poem of his that I believe must survive. It is the only poem of his that feels like it belongs more to him than to us. Ben Lerner hates poems, but loves Poetry. Bronk’s poem, for me, is Poetry. It is Poetry made flesh. It is a philosophical poem and yet it is one of the greatest rejoinders I have to Plato’s hostility to poetry; for in it, the world isn’t simply represented, but comes palpably to presence. Try reading it, or reciting from memory, wherever you are, over and over, and discover a nearmost awe, a knowledge more intimate than knowledge, that only a poem can grant. Moving from appreciation to analysis, I’d like to share some critical remarks on why I think the poem “works.” None of this is meant to reduce the poem to a functionalist process, but only to increase the experience of joy and mystery for the reader. I hope this close reading will show how the philosophical-spiritual complexity of this short poem is attained through the arrangement of only a few simple phrases. In line C, both phrases appear together again. The interweaving of these two phrases in this way gives the experience of both being anchored and drifting. This undecidability in the poem between drifting and remaining anchored, even if only to the drift of the world itself—leaves the tone open; though Bronk himself reads it in a requiem voice, it is just as possible to read it as a kind of Zen injunction to wake up to the way things really are, appreciating both the necessity of instability and the grace of recurrence. I’ve focused on the symmetries in the poem, but I hope you will consider the significance of one of the most acute asymmetries in the poem, the appearance of the qualifier, “anywhere,” in line B. Some questions for contemplation: Does “anywhere” refer to a set of locations within the world, or within the poem entitled “The World,” or does it refer even to locations beyond them? Is there a somewhere that isn’t anywhere? A somewhere, where there is an anchor in the drift of the world? Or perhaps, a somewhere where there is a perfect anchor, but no drift, and no world? Zohar Atkins holds a DPhil in Theology from Oxford, where he was a Rhodes Scholar. 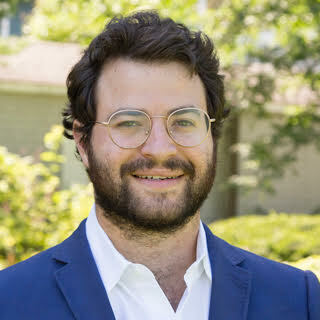 A fourth year rabbinical student at JTS, his poetry has appeared or is forthcoming in PNReview, Haaretz, The Oxonian Review, Wave Composition, Blackbox Manifold, and TYPO. He teaches dance, philosophy, and Torah in New York.